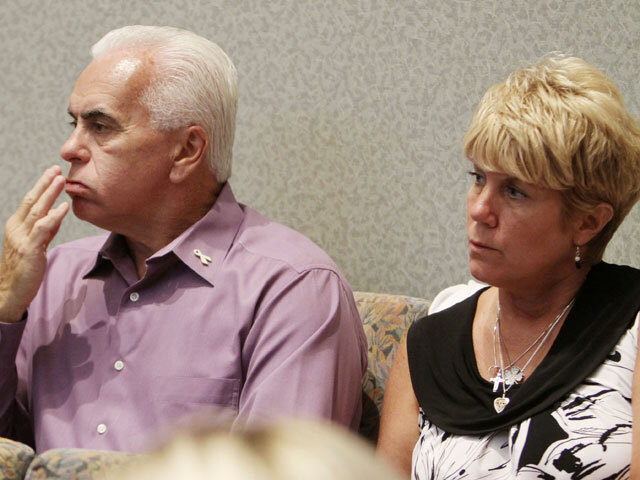 (CBS/WKMG/AP) ORLANDO, Fla. - George and Cindy Anthony, the parents of Casey Anthony who was acquitted in July of killing her 2-year-old daughter, are set to appear on the "Dr. Phil" television show next month. According to a release from the show Anthony's parents will appear on "Dr. Phil" for an exclusive interview on the Sept. 12 show, reports CBS affiliate WKMG. The couple has not given any extended interviews since their daughter was found not guilty of murder in the death of their granddaughter, Caylee Anthony. George and Cindy Anthony did make comments last week at a memorial event on what would have been Caylee's 6th birthday. "Cindy and George have suffered a horrific loss with the untimely death of their granddaughter Caylee, and they have since endured an unprecedented public attack on their family," says Dr. Phil, reports the station. "Despite living under a 'media microscope' for years, their story has never really been told and there's so much more to it than we've hear in the media. Throughout this extensive interview, we explore every detail of their ordeal, and they answer every question I know will be on our viewers' minds. Nothing is off limits during this interview." The release also said that the Anthonys will not be paid for the interview. However, they asked that a donation be made to the charitable organization they are forming to honor Caylee, called "Caylee's fund." "We knew that we'd want to speak at some point, and we figured there was no better place than with Dr. Phil. We are hoping that by doing this interview, we will be able to help other people who may be experiencing struggles of their own. We certainly don't want anyone to experience what we have these last three years," Cindy Anthony said, according to the station. Caylee was reported missing in July 2008 by Cindy Anthony. The toddler's remains were found in a wooded area near the Anthony family home in December 2008. Casey Anthony, 25, was charged with murder and aggravated child abuse in Caylee's death. Her trial began in May and a jury found her not guilty of all felony charges on July 5. Anthony was sentenced to four years in jail on four misdemeanor convictions of lying to police. Because she had been in jail since October 2008, she was released from the Orange County Jail on July 17 on time served. Casey Anthony's whereabouts since her release have been widely speculated, but unknown. On Friday, Judge Belvin Perry ordered her back to Orange County on August 26 to serve one year probation on an unrelated check fraud charge she was convicted of in January 2010. Her defense team is expected to appeal the order.